Ikea Shelves Planned London Store: Swedish retailer Ikea has halted plans to open a 270,000 square foot store at Wellington Road and Highway 401 in London, Ontario. It was supposed to be under construction this year on a site that would have included a relocated and expanded Costco store. Ikea told the London Free Press that Ikea still sees potential for a store in the London market, but that it is studying “new solutions” — the company is still said to be purchasing land on the PenEquity site, though details as to what’s going there are unclear at this time. It’s unfortunate news for locals who’d been looking forward to the store for years -- for now they'll have to be satisfied with locations being closer to and in Toronto. Ikea has also just announced that its Quebec City store will be opening August 22 — Ikea is starting to open stores in secondary markets, and London was to be one of them. It’s unclear what Ikea has planned for London, not to mention what will happen regarding the planned Costco store. 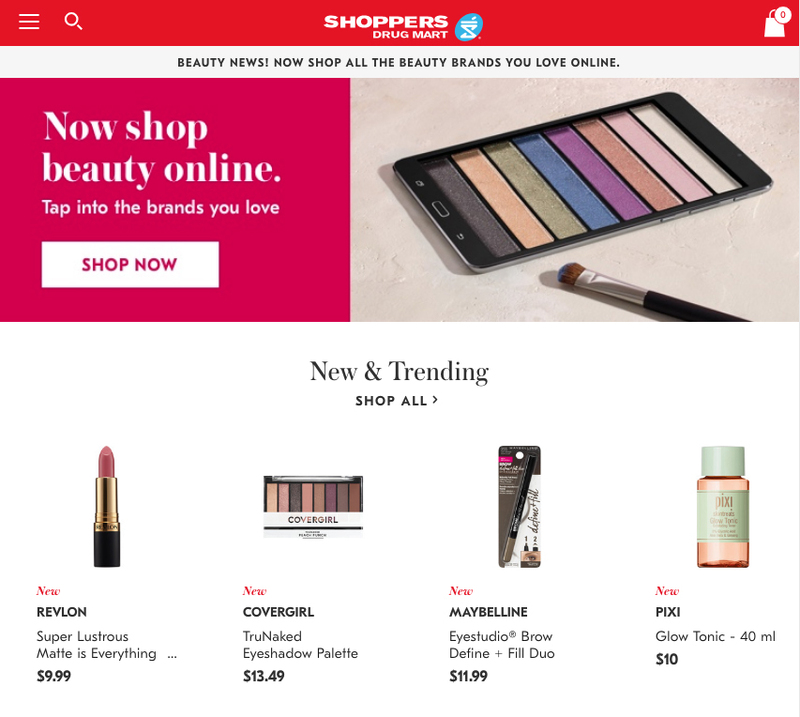 Shoppers Drug Mart Launches Monumentally Massive Online Beauty Store: Shoppers Drug Mart, Canada's leading beauty and pharmacy retailer, unveiled a new e-commerce platform that brings together a wide selection of the company's mass market cosmetics with an already vast range of luxury beauty products. 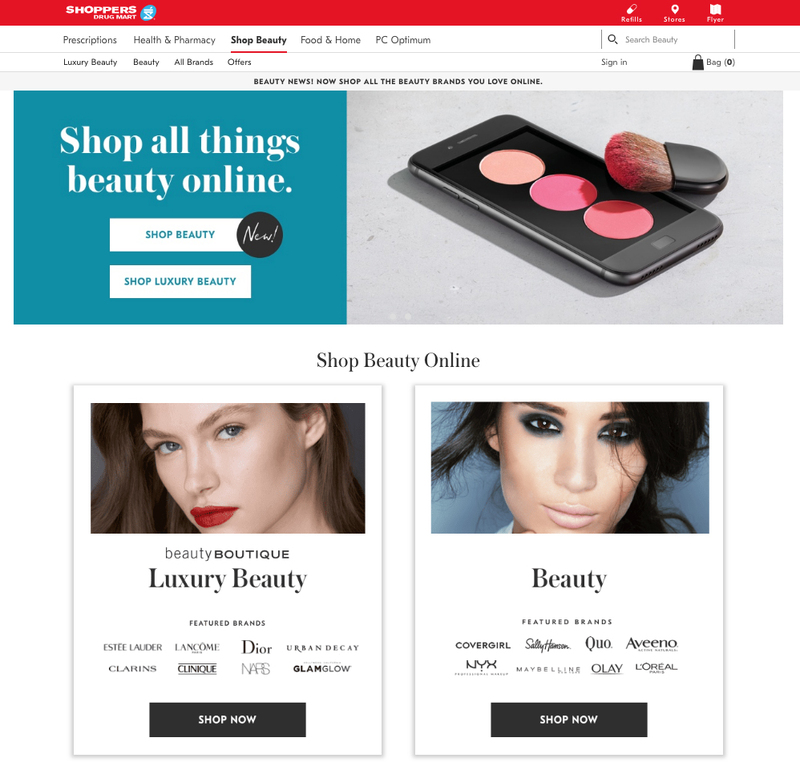 The new site—shoppersdrugmart.ca/beauty—is the country's largest online beauty shopping destination, providing Canadian shoppers with hundreds of mass and luxury private label and international beauty brands. Other perks of this powerful new location are the ability to earn and spend PC Optimum points, free shipping with minimum purchase of $50, free returns in store, and free samples (prestige purchases) and gifts with purchase. Shoppers Drug Mart Corporation is one of the most recognized names in Canadian retailing, with more than 1,300 Shoppers Drug Mart and Pharmaprix stores operating in prime locations in each province and two territories. 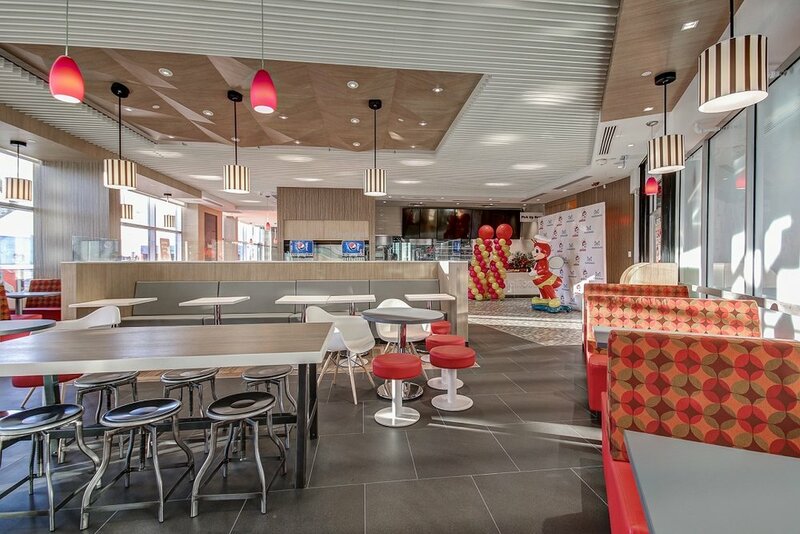 Jollibee Opens its 2nd GTA Location to Huge Crowds: The Greater Toronto Area’s second Jollibee location has opened inside of the Seafood City supermarket in Mississauga, and it continues to see crowds and lineups a week after opening. 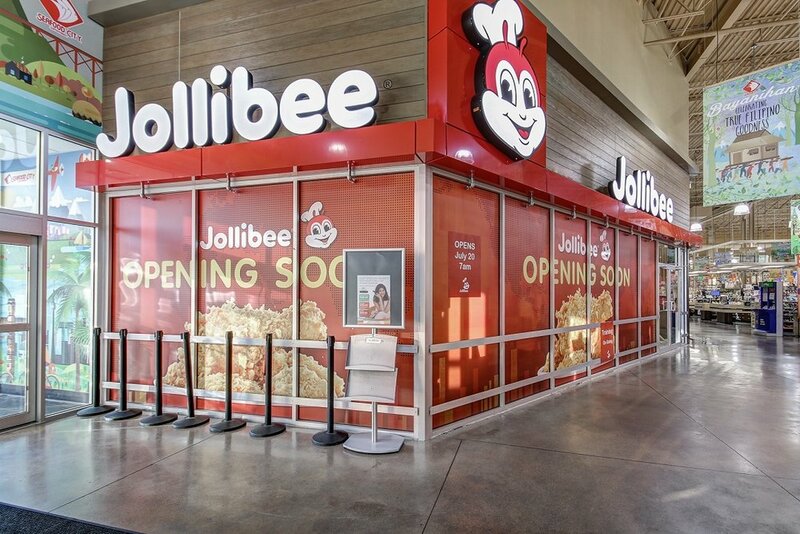 The Filipino restaurant chain recently told Retail Insider that it plans to open about 100 Canadian locations in five years. BUILD IT by Design, known for its high-end retail and restaurant projects, built the space and supplied photos for this article. We’ve reported on several notable projects by BUILD IT by Design, which is expanding its own operations rapidly as new brands continue to rapidly enter Canada. Jollibee began when Tony Tan and his family opened a Magnolia ice cream parlour at Cubao in 1975 which became the first Jollibee outlet. In 1978, Jollibee was incorporated as a 100 per cent Filipino-owned company with seven fast food restaurants within Metro Manila as its initial network. In 2015, it reached its 1,000th store with its first location in Dubai, UAE, and now has more than 1,300 locations globally. 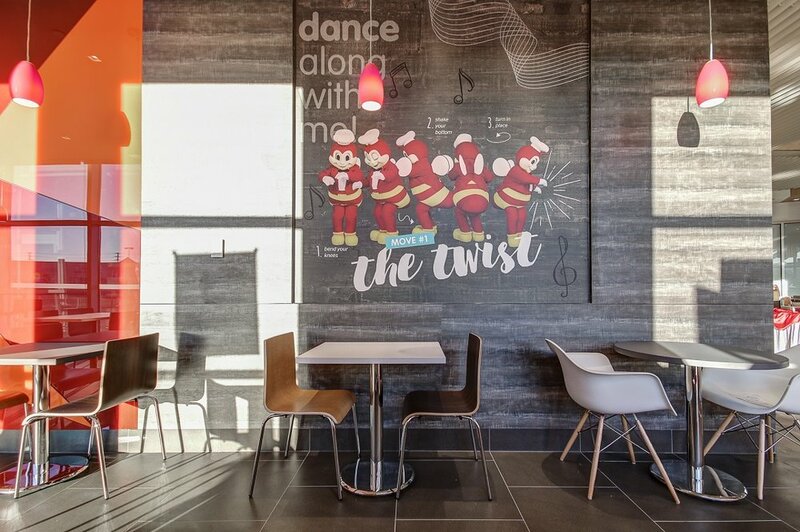 Read Retail Insider’s report on Jollibee’s aggressive Canadian expansion — the Philippines’ biggest restaurant chain is going to give homegrown brands a run for their money. Ædelhard Pop-Up in Toronto Marks the First Brick-And-Mortar Location for Brand: Vancouver-based technical apparel men’s brand Ædelhard, which was launched several months ago in partnership with former Lululemon / Kit and Ace executive Darrell Kopke and Michael Nguyen (behind Toronto’s Garrison Bespoke), will have a temporary location in Toronto that will be open until Saturday and possibly beyond. A ‘temporary menswear experience pop-up’ is now open at the TEN X TORONTO space at 107 Princes’ Blvd. in Toronto — until now, Aedelhard has sold exclusively online. The pop-up features numerous activations outside of selling apparel, such as a Corporate Tennis Tournament on July 27th that features celebrity tennis players wearing Aedelhard suits. Ædelhard says that it aims to solve the problem of ill-fitting, uncomfortable business attire, and it appears to have solved it well. The brand currently features a selection of separates that can be mixed-and-matched with ease — Mr. Kopke wore a suit that he explained felt like a sweatsuit, and has been tested in the gym. Aedelhard applied bespoke tailoring to technical stretch fabrics to make the "world’s most comfortable suit." The line includes suit jackets, trousers, shirts and accessories, at a contemporary price point that makes it accessible to many. The collection can be viewed at Ædelhard’s website: aedelhard.com. Could the Toronto pop-up lead to permanent Ædelhard stores? Stay tuned as we track the progress of this unique Canadian fashion brand. MVMT Adds Brick & Mortar to Its Canadian Strategy: With their hipster name and ultra-cool styling MVMT Watches (pronounced Movement) is tick-tocking their way beyond online e-commerce and launching on August 15th in Watch It, department store La Maison Simons, and 90 of Hudson’s Bay's locations across Canada. MVMT was founded by two college dropouts in 2013 as a direct to consumer e-commerce company. Now, as the fastest growing watch company with an online community of more than 3 million fans, MVMT’s in-store launch is a direct response to growing demand for the brand’s premium, on-trend products and proves that physical retail experiences are still valued by consumers. Loved by millennials, trend-setters and adventurers alike, MVMT watches are designed and crafted to compliment all styles and feature straps in leather, nylon, silicone, and stainless steel; a variety of color selections, and five sizes to suit anyone’s wrist. Joe Fresh Expands Activewear Category to Include Extended Sizes: The beloved Joe Fresh activewear category - a collection that is all about cool, comfortable pieces that makes it super simple to take your activewear, anywhere, has extended its selection to offer extended sizes (0-22, XS-3X) to its customers. The extended size activewear collection became available Thursday, July 19th both online, and in-stores. Founded in Toronto in 2006 by Toronto’s Joe Mimran, Joe Fresh started by providing a uniquely accessible shopping concept to fashion consumers in Canada. Today, the brand is one of Canada's leading fashion retailers, with products available at over 1,450 retail locations, including over 350 Loblaws locations, 1,100 Shoppers Drug Mart locations, and 11 freestanding stores. The company proudly espouses the circumvention of the damaging impacts of mining by casting their jewelry from 100 percent reclaimed precious metals, source conflict-free precious and semi-precious stones and freshwater pearls. Their business is Vancouver-based with a Los Angeles flagship and operates with transparency, sustainability, and has grown organically. Crafted by hand using old world techniques, the new jewelry features a striking black ceramic design element and is comprised of a large selection of delicate 14K talismans cast using authentic wax seals and imagery from the Victorian era. 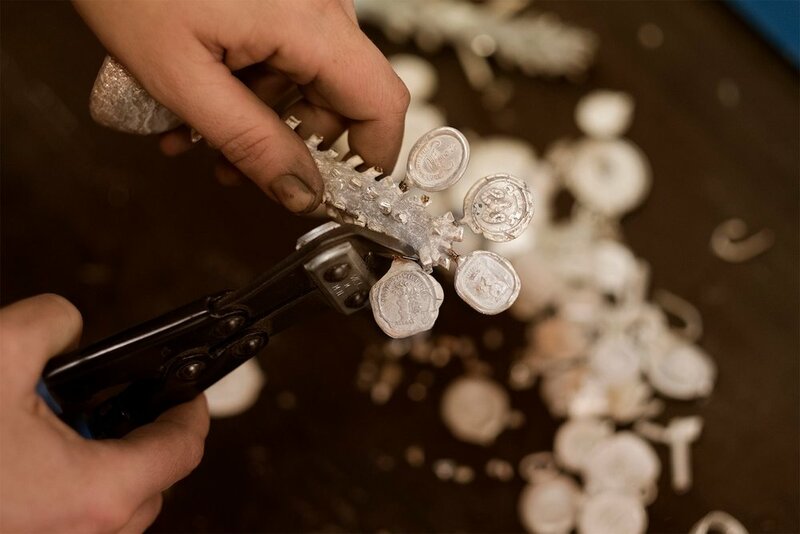 Pyrrha can be found at leading boutiques around the world and around the necks of major celebrities such as Chris Hemsworth, Katie Holmes, Jodie Foster, Lady Gaga, and Taylor Swift. Save the Duck says %*&$% to Wearing Real Duck Down: Save the Duck, a Milan-based outerwear company that is 100% green is distributing its Fall/Winter 2018/2019 STD Collection through its fashion office in Montreal. The vegan line is distributed throughout Canada by La Maison Simons, Hudson’s Bay Company, Holt Renfrew, and Quebec’s Sportium. Save the Duck does not use traditional goose down feathers and instead uses their proprietary Plumtech® technology. The brand's 100% cruelty-free faux-down jackets are lighter, warmer, more breathable, and perfect for the cold weather. This Italian brand also offers a line of jackets made of recycled polyester and are perfect for traveling in all weather conditions as well. They fold easily into a small carry-on or a medium bag. 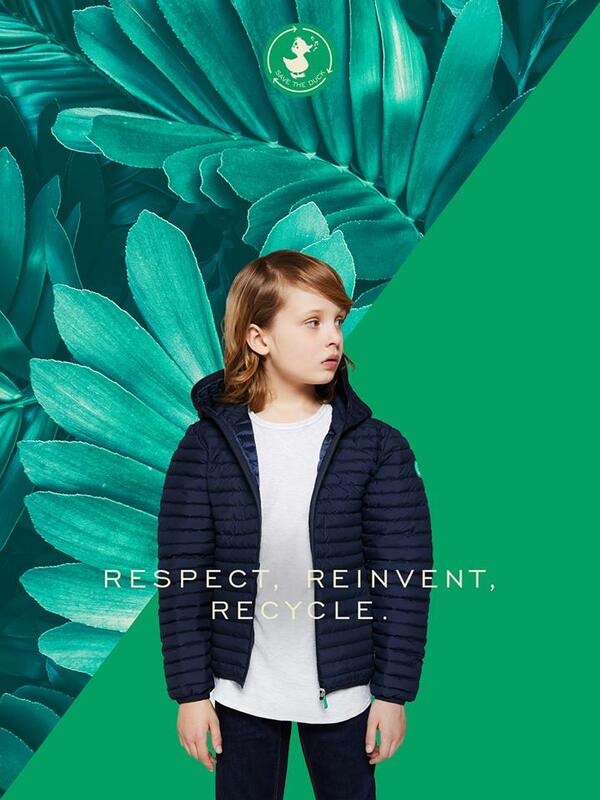 Not only are Save the Duck jackets eco-friendly and fashionable, but they are also among the most sustainable and durable jackets on the market. Succeeding where even leading brands Mountain Hardwear, Europe’s Rab, and North Face have been unable. Save the Ducks’ completely animal-free suit took professional mountaineer Kuntal Joisher all the way to the top of Mount Lhotse, the world’s fourth tallest mountain. Today the company claims to have saved over 3M ducks from 2011 to 2017. That is nothing to quack about! Wicker Emporium Assets For Sale: As reported in Insolvency Insider, MNP, in its capacity as CCAA monitor of Halifax, Nova Scotia-based Wicker Emporium, is soliciting offers for the sale of the company’s assets to a party interested in continuing to run the company as a going concern. In addition to acquiring the assets which include inventory and store fixtures, interested parties should be prepared to maintain the remaining lease obligations and employees. Further details can be found HERE. The deadline for offers is August 10.